There are numerous warning signs that indicate a broken chimney crown in need of repair. Completing these repairs as soon as possible can save you thousands of dollars, and even an entire chimney rebuild. The chimney crown located at the tiptop of your chimney is an important component to your overall chimney system. The chimney crown is a compact concrete roof that acts as an umbrella, keeping your entire chimney and masonry brick free from water damage as well as debris, nests and other unwanted intrusions. While it might be out of sight, and out of mind, your chimney crown can save you thousands of dollars in repairs so long as it is in proper working order. As soon as your chimney crown incurs damage it will start to let water and moisture inside, wrecking havoc by deteriorating your chimney from the inside out. 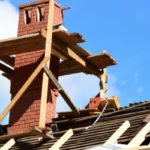 Before serious damages have a chance to take hold, your best bet is to repair your chimney crown for a mere fraction of the cost. Your chimney crown sits way up high on your house, but it’s definitely worth it to have a professional take a look every year or so to make sure it’s in good working order. Aside from noticeable cracks, there are plenty of other signs that your chimney crown needs repairs, but by the time you notice secondary signs you could be looking at larger (and more costly) issues. Cracks in chimney crown: If you can see visible cracks, even if they are very small, they need to be filled and fixed or else water can get inside. Falling flue tiles: If you notice tiny chunks of chimney tiles collecting at the bottom of your chimney it’s a sign that the flue lining your chimney is damaged. If this problem is not addressed it has the potential to lead to a house fire. Rusted damper or firebox: If you see noticeable signs of moisture entering the fireplace (aka rust) there’s usually one way it’s getting in… a faulty chimney crown. Damaged interior walls: If the wallpaper or walls on the inside of your home near the chimney are showing signs of moisture damage it could relate to water getting in through a faulty crown. 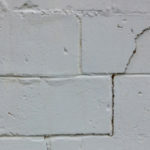 Damaged mortar joints: If you notice damaged, moist, crumbling mortar joints it’s a clear sign that moisture has gotten inside of your chimney… likely through the crown. 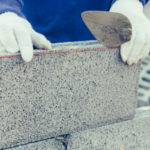 Spalling bricks: If you notice bricks, stones or whatever other material your chimney is made of, actually coming loose damage has gotten pretty bad. When water and salt has a chance to enter the chimney it puts pressure on the bricks until they eventually pop out of place. If you don’t fix spalling bricks right away the entire chimney will need to be replaced. Depending on the extent of the damage to your chimney crown, the type of repairs necessary will vary. The sooner you catch issues the less invasive work it will require to fix. If your chimney crown has minor cracks it needs to be sealed and patched. If the crown is in greater disrepair it may be time to completely replace and rebuild the chimney crown. This is always more affordable than postponing repairs and waiting until moisture and other elements have caused enough damage that the entire chimney needs to be repaired; or worse, replaced. If your chimney crown only has a few minor cracks it may be salvageable with a chimney crown sealant, which can be applied directly to the crown. A waterproof sealant prevents water from entering the brick, mortar and concrete and creating serious damage. 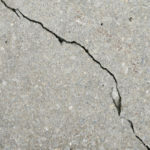 Larger cracks may be filled with high bond patching material, prior to covering the entire chimney crown with a sealant. As a result, you get a waterproof covering that protects your chimney against the elements. When handled by a skilled professional, sealants can add as many as 15 years to the overall lifespan of your chimney. If your chimney crown is showing more wear and tear from years of use it may be time to replace it with a new concrete chimney cap. If you don’t replace it, your entire chimney becomes at risk for breaking down. If entire pieces of the crown are missing or it’s lacking in structural integrity you’ll need to replace and rebuild it. You don’t want to hire just anyone to take care of the task. Mixing any old mortar and slapping it on top is going to leave you with additional issues in no time. Instead, you need specially formulated mixture made of weather resistant materials to do the job. A cement chimney crown is likely your best option. You have two options, pre-cast or cast in place concrete crowns, both of which are reinforced with steel. Crowns may also be made from stone or metal. The most important component is that they are water resistant and watertight, in order to keep as much moisture out of your chimney as possible. 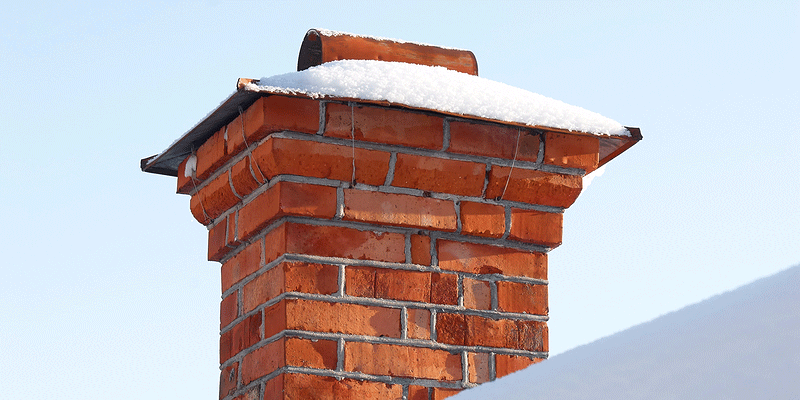 A quality chimney crown is built with slanted sides in order to wick moisture away. Contact Turnbull Masonry today for a competitive quote to repair or replace your chimney crown.